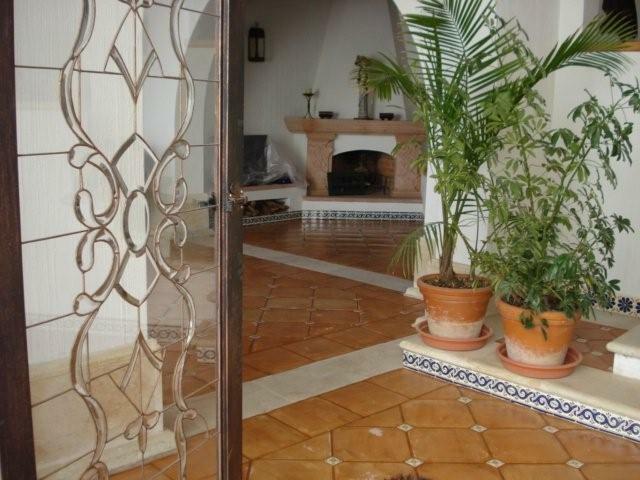 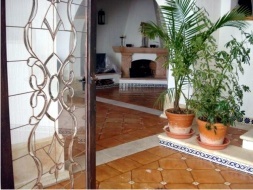 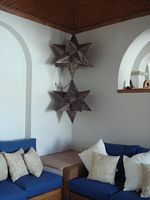 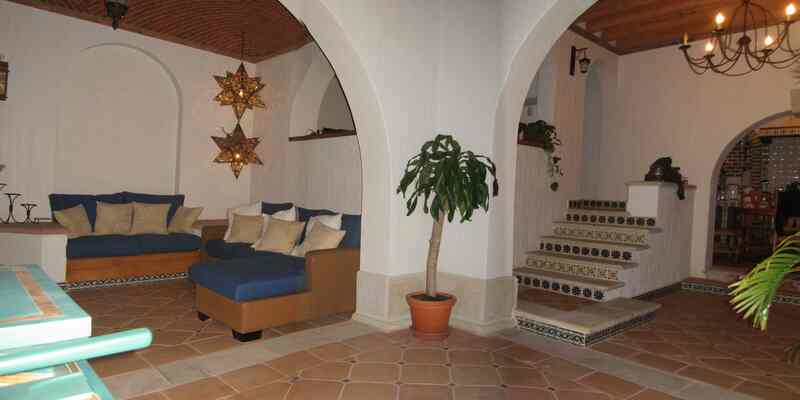 Casa Dionisio embraces you, its vitrales doors wide and waiting to greet as you catch your breath from the short but steep trek through the picturesque callejons and alleys reminiscent of Majorica or of the Greek isles. 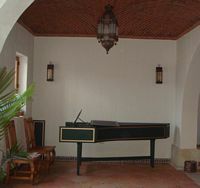 The spacious lobby, music room, and living room also serve as a recital hall seating up to 50 persons for intimate chamber music. 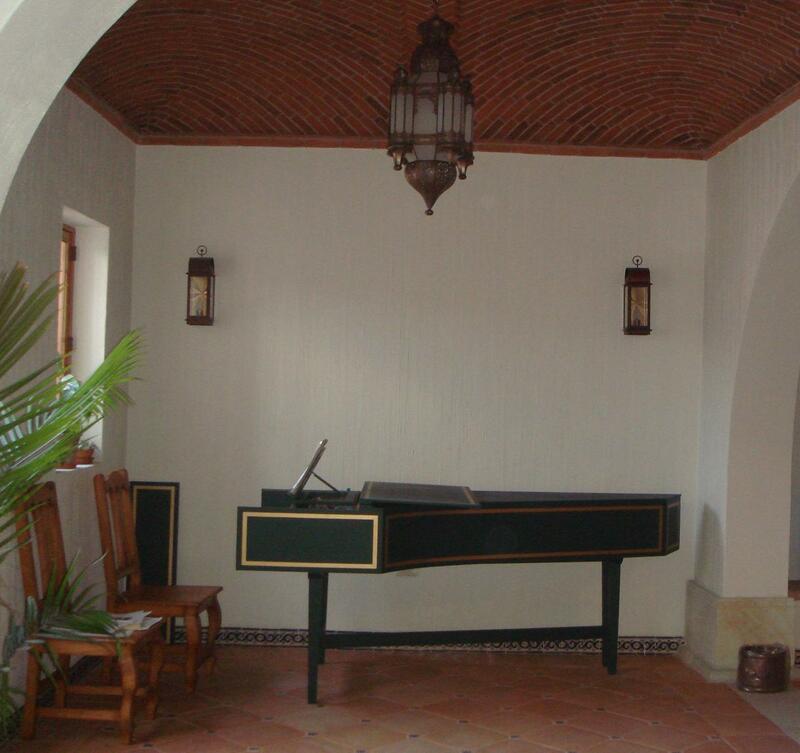 When completed, the third floor penthouse will seat up to 75 and be available for private recitals and concerts. 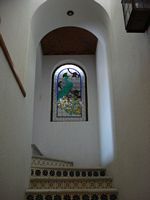 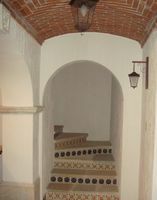 Rest for a moment before ascending the two short flights of stairs to your room on the second floor. 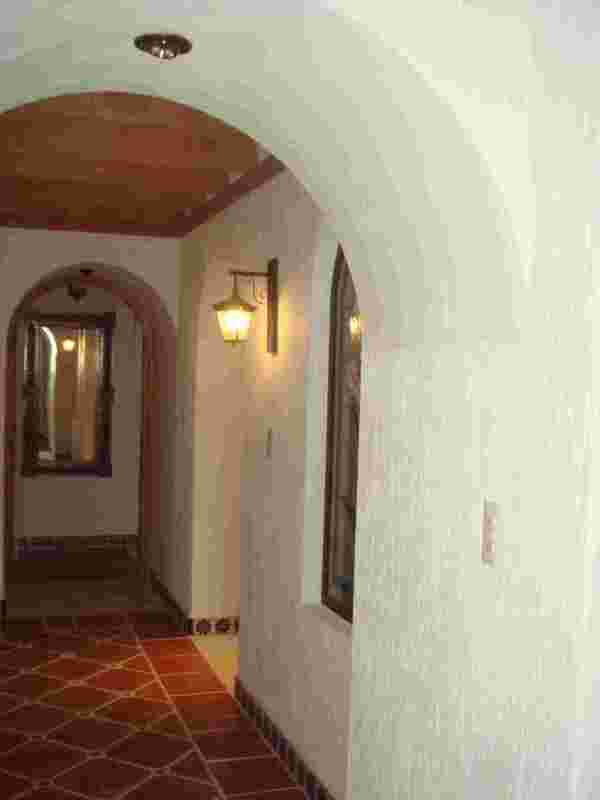 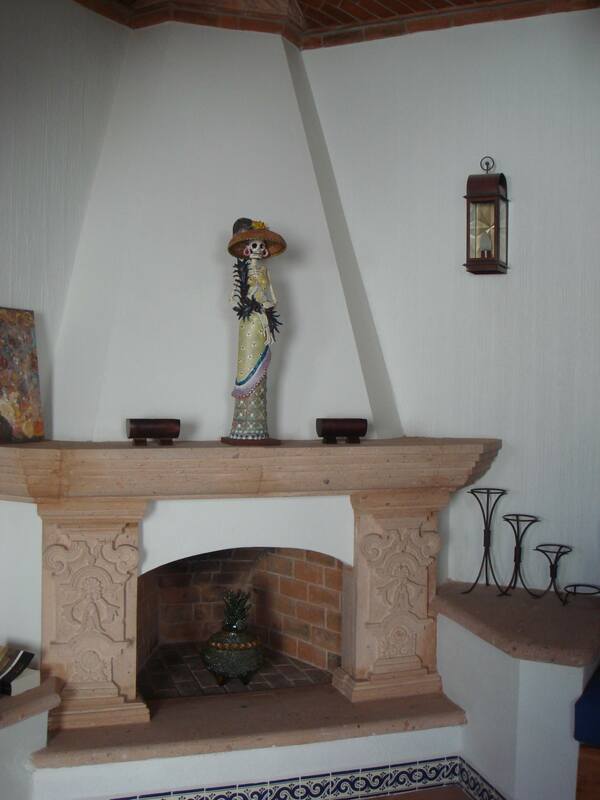 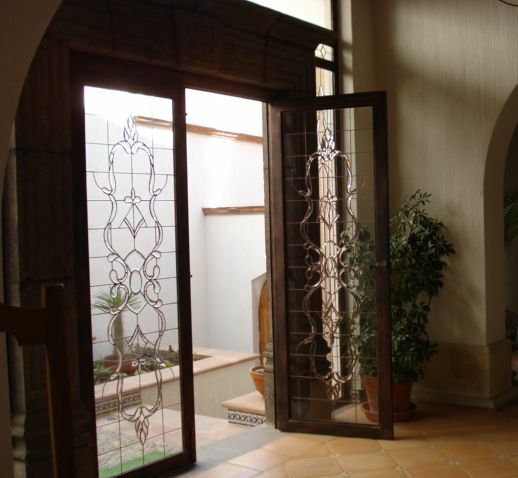 Let your hands and fingers measure and trace the texture of the hand carved wooden figurines on the doors to the suites, a separate theme etched on each ---The Ranas, The Alcatras, and The Sol y Luna. 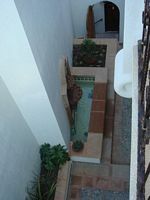 Your balcony looks down on the peaceful terrace of the main patio with its chatty fountain and the austere cactus garden. 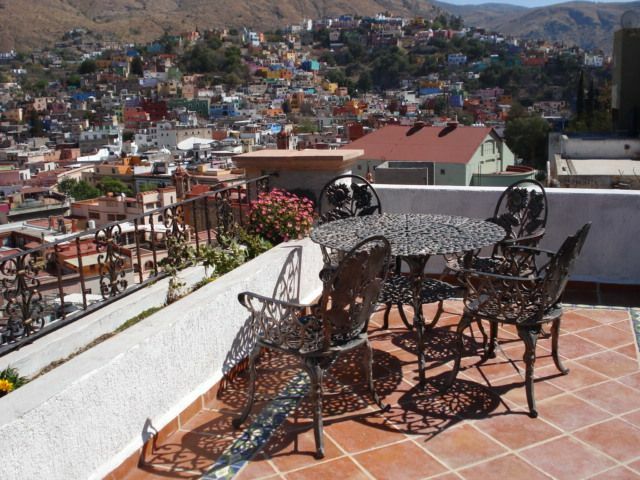 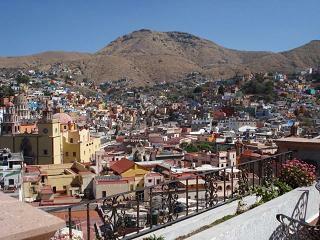 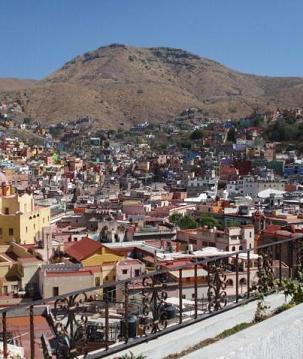 Later ascend to the roof terrace overlooking the center of Old Guanajuato. Hear the mix of music, the omnipresent bells of the myriad churches and the cathedral, and sometimes the distant murmur of people strolling through the town during the festivals, the market days, and on weekends. 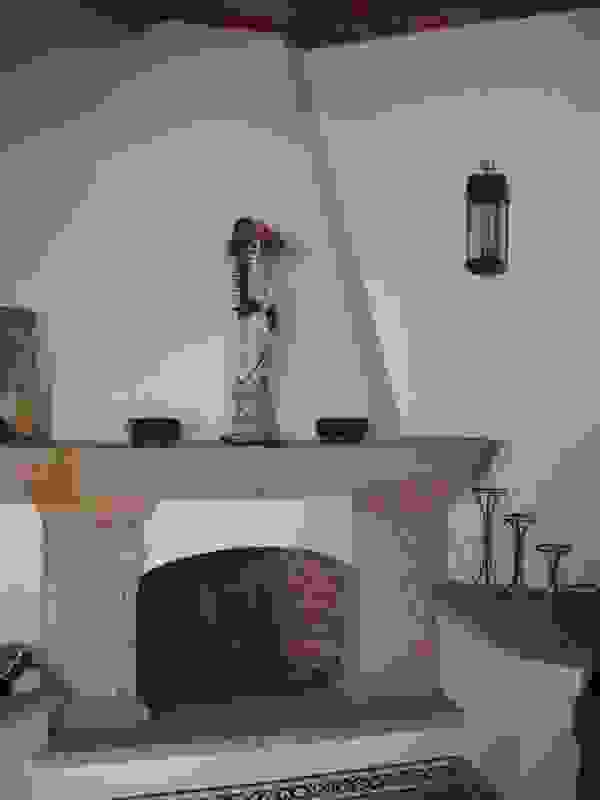 Catch the delightful blend of perfume bearing flowers with maybe a hint of fresh baked bread or tortillas.